An announcement that a lot of Formula 1 fans have been anticipating for a long time is finally here. Fernando Alonso has announced his decision to retire from Formula 1 at the end of the 2018 season. The double world champion will now move onto other challenges within motorsport, although it is as yet unclear what those challenges will be. All signs seem to point to the fact that he will move to IndyCar for the 2019 season. The McLaren driver who has competed in Formula 1 since 2001, has released a video on his social media channels bidding Formula 1 adieu. In the video Alonso speaks of his 17 years in the sport and declares that he would like to quit the sport while he is still in his prime. 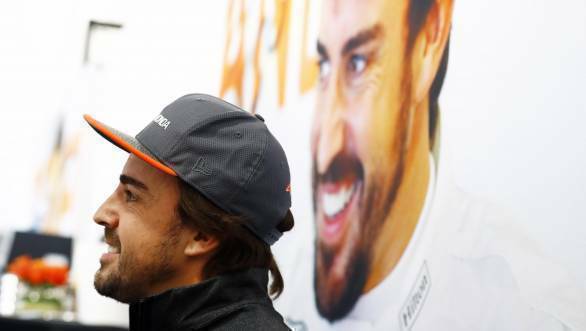 Media outlets like Germany's Motorsport Total are also reporting that Alonso will not move to IndyCar with McLaren, because he has reportedly thanked the team, bid them farewell, and stated that his heart will always belong to the team. Over the course of his Formula 1 career thus far, Alonso has won 32 races, scored 97 podiums, had 1893 career points, 22 pole positions and 23 fastest laps. He has driven for Minardi, Renault, McLaren and Ferrari. In recent times he has also expressed an interest in other forms of motorsport, competing in the Indy 500 in 2017, and being part of the Toyota team that won the 2018 24 Hours of Le Mans.